This Alpha 304TR is a very nice typer, as I think the fairly clean typecast above might indicate. 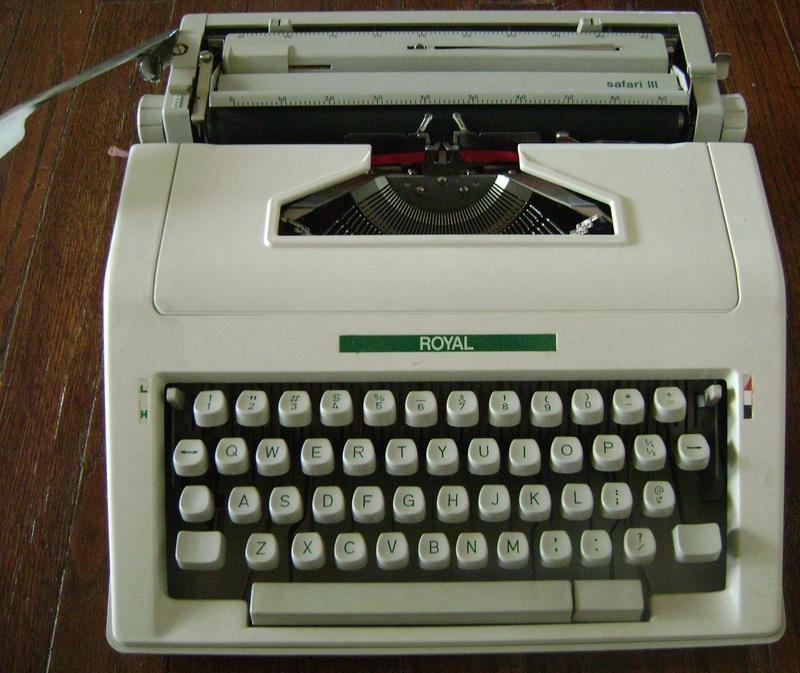 The machine is steady on the writing surface, with little discernible vibration. The alignment and spacing seem fine and the typing action is excellent. I like the crisp font, too. The Alpha strikes me as a very good, cheap workhorse. This one cost me $23. They have been sold in the US for even less than that. 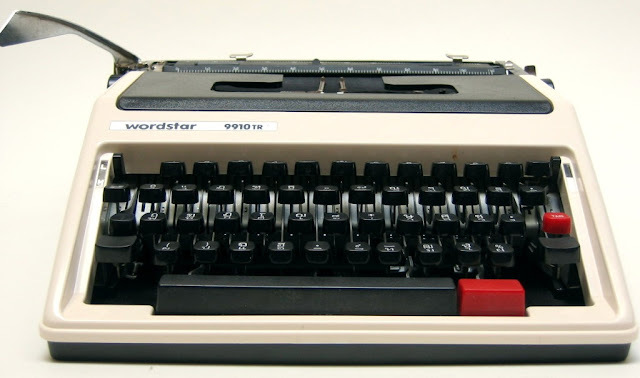 But there is an Alpha 300B (without tabulator of repeat spacer), said to be an "Italian typewriter" (keyboard? 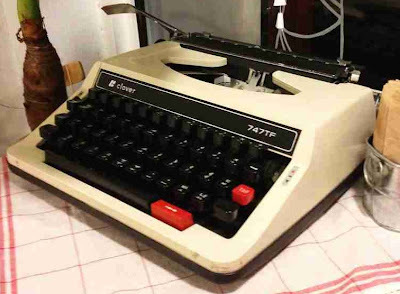 Surely not make) for sale on Singaporean eBay right now for 130 Singaporean dollars ($US105, $A100). 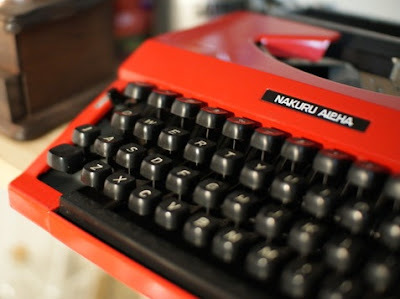 One thing to be wary of with Korean typewriters - the clip-on cases are all the same design and the handles snap off easily, with the slightest knock. Whatever you do, don't carry it around by the handle! There is absolutely nothing on the Alpha or its case to indicate where it was made, or by whom. 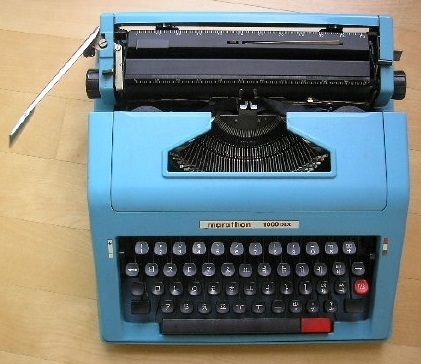 All it says is "Alpha Typewriter Impex" and offers a meaningless serial number. 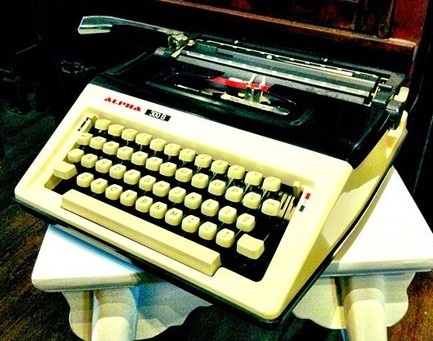 The words "Alpha" and "Impex" might suggest the Sub-Continent, and if you think Pakistan never produced typewriters, think again. 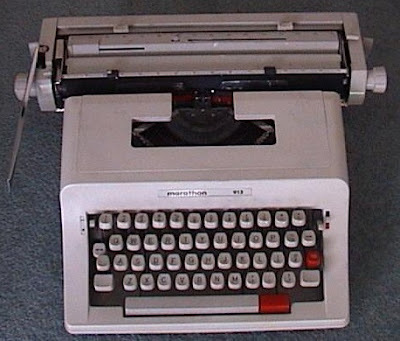 I am about to post on a Pakistan-made typewriter. But I am willing to bet this Alpha came from Korea. 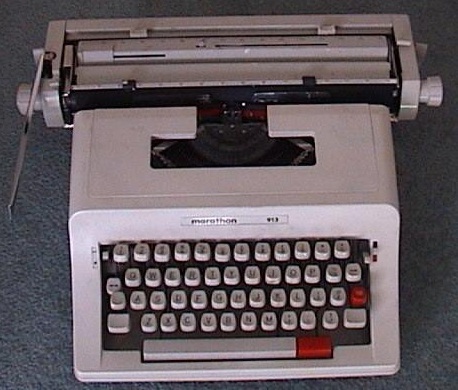 The known Korean typewriter manufacturer is Dong-Ah Precision, though that name itself doesn't offer all that many clues, as dong is a fairly generic geographic word (that is, as in "east" or "eastern"). And there is more than one Dong-Ah manufacturing company. The genes of the Alpha are in the Sears Achiever, made for Sears by Silver-Seiko in Japan (these are the Silver-Reed 500 and 600 series machines). 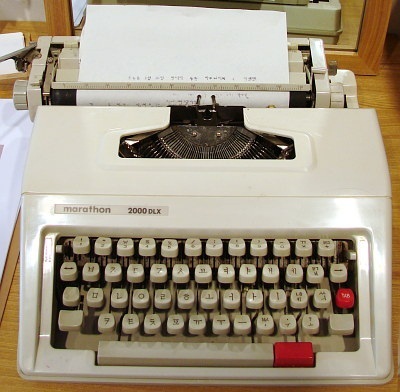 The Korean versions began life as the Clover typewriter, made by K-Mek, which, it seems, Dong-Ah acquired. 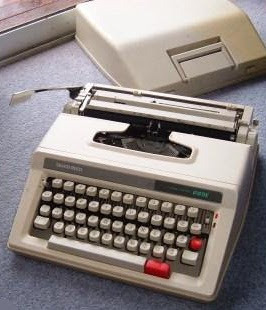 As Will Davis points out on his Portable Typewriter Reference Site page on Korean typewriters, Silver-Seiko sold the tooling for this design to Dong-Ah Precision in about 1978, when the Japanese firm stopped making manual portable typewriters itself. Dong-Ah was established in June 1968 to make furniture accessories and other metal products. It is today based at Namdong-Ku Inchon. machines include the Royal Safari III. An Alpha lookalike is marketed as the Wordstar 9910TR (the one below has an Thai keyboard). That's a good-looking typewriter (for a plastic portable), and it does nice work. Read yr site regularly. Yes, Dong A is a Korean company (동아), your intuition is keen as usual! Wow, that typeface is extremely clear and crisp! I would kill to have a typewriter that said "Dong" on it. Where can i get Marathon 100 TR manual guide? Dan, right around the place where "please" and "thanks" are found. Hi sir, I have a Marathon 10TR and it looks almost exactly like the blue Marathon "Speedy" except the top letters on each of the keys are english letters and the bottom ones are, I would guess, the corresponding korean symbols? I think I have looked at all the korean typewriters you show but cannot find any with that type of keyboard. I'm sorry, I'm breaking probably 3 of the 4 rules stated above, so if you don't reply I'd understand. Same, i'm also looking for one.